MOFFETT, part of Cargotec's Hiab business area, celebrates its 70th anniversary this year. "This is a significant year for MOFFETT as we celebrate our 70th anniversary with our customers, drivers, and the global MOFFETT team," says Keith Quigley, Senior Vice President, Truck Mounted Forklifts, Hiab. "We invented the truck-mounted forklift truck concept, and we pride ourselves that throughout our history we have always worked closely with our customers to provide bespoke solutions to support their businesses." Founded by Cecil Moffett in 1945 in Clontibret, Ireland, the company began as a small engineering workshop producing agricultural machinery for the family farm and other local businesses. In 1986, the company revolutionised the transportation industry with the invention and launch of the MOFFETT Mounty, a compact 3-wheeled forklift truck that could be transported on the back of almost any delivery truck or trailer, and took up virtually no loading space. 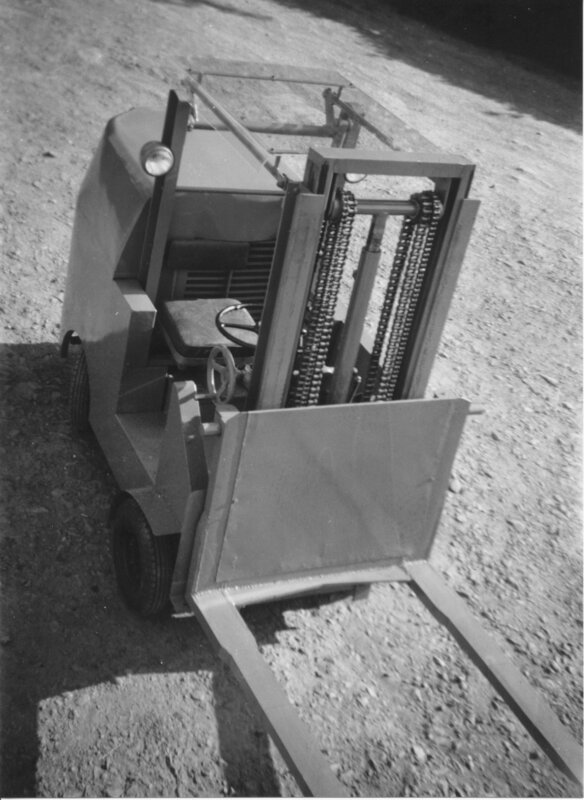 This truck-mounted forklift was unique because, whilst it did not replace the traditional warehouse-based forklift truck, it could perform the same functions of lifting, carrying, loading, and offloading. With the MOFFETT Mounty, the transport operator could, for the first time, schedule his own loading and unloading, without needing additional assistance. He could offload goods to precisely where the customer wanted them, which reduced damage, and because deliveries were much faster, he could schedule more deliveries per day, with fewer vehicles, and therefore lower costs. The product was, not surprisingly, a success in both Europe and the USA. Today, MOFFETT is sold in 45 countries, and offers specialist machines, with an extensive range of options, for many industries, including building, gas, poultry, agriculture, recycling, beverage, road distribution, fire and rescue, and utilities. And, characteristically, should a customer have a unique lifting and carrying challenge, MOFFETT will work with them to design a truck to meet their specific requirements. MOFFETT's factory in Dundalk, County Louth, Ireland, is the centre of excellence for truck-mounted forklift truck research and development. The 227 employees operate a 'never-ending product improvement' policy, offering leading-edge solutions with a customer-focused mind-set. "We have a passionate team at MOFFETT," says Carl Gustaf Göransson, Senior Vice President, Sales and Markets. "We continuously invest in innovative technology to meet our customers' logistics and material handling challenges, and I am proud that we have the engineering excellence in-house to be able to adapt our products to whatever needs they have, both now and in the future." As an example, in 2013, MOFFETT launched the E-series-ProFutureTM, the world's first lithium-ion powered truck-mounted forklift, designed to operate in urban environments where access is restricted and low noise and no emissions are demanded. "We value our close partnerships with our customers, and want to recognise proud MOFFETT users around the world. As part of our 70th anniversary celebrations, we will be hosting a number of events, including a MOFFETT World Championship, fundraising for charity, and we are planning some exciting anniversary sales offers, too" concludes Quigley.